[…]Lawyers for the State Department and Judicial Watch, the legal group, are negotiating a plan for the release of the emails in a civil public records lawsuit before U.S. District Judge James E. Boasberg of Washington. […]Judicial Watch filed the lawsuit in May 2015 after disclosures that Clinton had exclusively used a personal email server while secretary of state. Judicial Watch had sought all emails sent or received by Clinton at the State Department in a request made under the federal Freedom of Information Act, which covers the release of public records. Hillary is the first Secretary of State to have a private e-mail server hidden from her employers, which she kept in her home. Hillary withheld more of her emails from investigators as “personal and private”, and released less than half of them to the State Department. 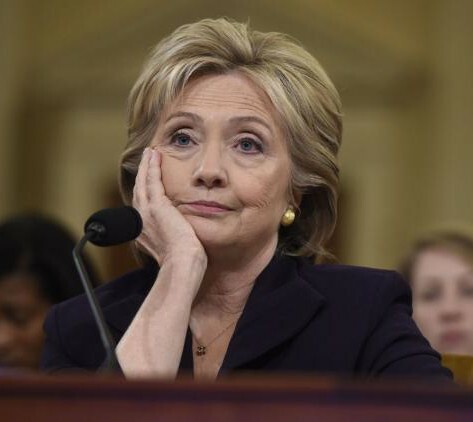 She deleted more e-mails than she turned over to the State Department. I work for a major company. About 1 out of every 1000 e-mails I send is personal, and it is usually a reminder that I sent to myself (and CC my Dad) to bring coffee creamer to work because I ran out. I assume that my employers have access to my work e-mail, which is why I don’t put anything sensitive and personal in it. In any big company, all your work e-mails are subject to investigation if anything goes wrong… which is why Hillary didn’t want her employer having access to hers. Hillary has been trying to blame her decision to hide her e-mails from her employer on Colin Powell, of all people. […]”The truth is, she was using (the private email server) for a year before I sent her a memo telling her what I did,” Powell said. CNN has reached out to the Clinton campaign, as well as representatives for Powell, and has not yet received a response. Powell, who endorsed Barack Obama for president in 2008 and 2012, has not yet made a formal endorsement in the 2016 presidential election. Now, I know what Democrat voters will say to this because I’ve talked to some Democrat voters that I know. They’re not going to care. They don’t have any moral sense to see anything wrong with what Clinton did. What is important to them is that their pro-abortion, anti-religious liberty agenda move forward. Little things like transparency and accountability in government don’t matter. Who cares about morality, the Democrat voters say – just give us our fun and give us our stuff. I was listening to the Ben Shapiro show Monday night, and he gave his best guess about why Hillary had a private e-mail server. His guess, which surprises no one, is that Hillary sold her authority at the State Department for money. She got contributions to the Clinton Foundation, and enormous speaking fees from banks, foreign corporations, etc. She’s raised half a billion dollars for her campaign. I guess that’s what the Presidency costs these days. And why we can’t get any honest candidates. She had a private e-mail server for the same reason that several Obama subordinates conducted business using private e-mail addresses: to hide their activities from the public. Either their activities were explicitly illegal or, if not illegal, unpopular.